Greek German matchmaking for Active Citizenship Education in Youth Work is a project by the Association of German Educational Organization (AdB) and the Faculty of Social and Educational Policy of the University of the Peloponnese , which will be implemented within 2018. As a greek–german matchmaking for practitioners/trainers in youth work (and their organizations) , the main aim is to create new partnerships and collaborations between organizations of both countries specialized in the field of youth work. Grundsteine legen für gemeinsame Kooperationen im deutsch-griechischen Jugendaustausch. Da es ein Sonderprogramm für deutsch-griechische Austausche gibt, besteht zudem die Möglichkeit direkt in die Maßnahmenplanung einzusteigen und Projekte durchzuführen. Die Ausschreibung richtet sich an Pädagogen/Pädagoginnen aus dem Bereich der politischen Jugendbildung, der Menschenrechtsbildung, BNE, Jugendsozialarbeit etc. sowie an den weiteren Kreis von Teamern/Teamerinnen und an Fragestellungen der politischen Bildung Interessierten. Die Teilnehmenden sollten Neugier, Flexibilität, Aktivismus, Offenheit sowie die Bereitschaft mitbringen, selbst im deutsch-griechischen Jugendaustausch aktiv zu werden, im Rahmen des Programms mitzudenken und die ein oder andere methodische Vertiefung anzuleiten. Die Anreise zu den Begegnungen erfolgt jeweils individuell. “Gr.A.C.E. : Greek German matchmaking for Active Citizenship Education in Youth Work“ is a new Erasmus+ Project, which will be implemented within 2018 by the Faculty of Social and Educational Policy of the University of the Peloponnese (UoP) and the Association of German Educational Organization (AdB).The project would be characterized as a greek – german matchmaking for practitioners/trainers in youth work (and their organizations) , the main aim of which is to create new partnerships and collaborations between organizations of both countries specialized in the field of youth work. People active in the field of citizenship and human rights education as educators, practitioners or/and trainers. People whose work is traversed by the principles of non-formal education. Anyone who is willing to share with us his knowledge, experience, educational methods and tools he may use through his/her work. Anyone who is willing to start implementation exchange programs through her/his work. If so, this project is for you and we would be really happy to receive your application! get to know the fields, topics, structures and approaches of non-formal citizenship education, learn about and visit providers/institutions specialized in non-formal citizenship education and HR education for youth. get to know the conceptual discourse and topics driving our working fields in both countries. 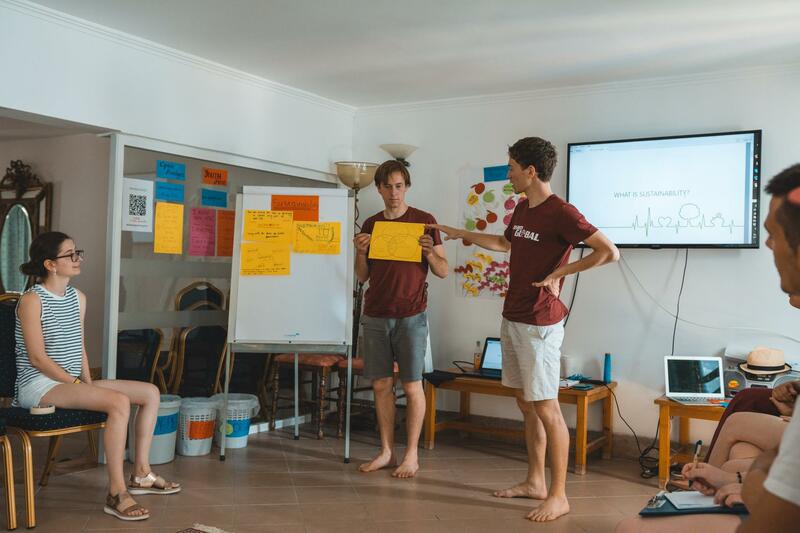 explore bridges of cooperation between participants of both countries in the field of greek – german youth exchange, learn about the planned greek-german youth office’s work and future opportunities for collaboration. As there is a specific funding mechanism for bilateral greek-german youth exchanges, we will also support the participants/their organizations to go first STEPS and concretely realize cooperation activities. We expect you to have experience in youth work, be curious, active and open minded, and willing to become active in greek- german youth exchanges. The participants have to arrange their tickets to the workshop venues by themselves and they will be reimbursed for them after their trip. Participants will get informed by the organizers for the reimbursement procedure they have to follow. The total amount of the participants travel cost (travel) will be financed by the project “Gr.A.C.E” according to the rules of the Erasmus+ programs. The application deadline is February 28, 2018. The selected applicants will get informed about their participation by March 10, 2018. Pressenetzwerk für Jugendthemen (PNJ) e.V. IJAB Fachstelle für Internationale Jugendarbeit der Bundesrepublik Deutschland e.V. Orte deutscher Kriegsverbrechen – eine interaktive Karte von IJAB, die die Opfer- und Märtyrerdörfer in Griechenland auflistet.